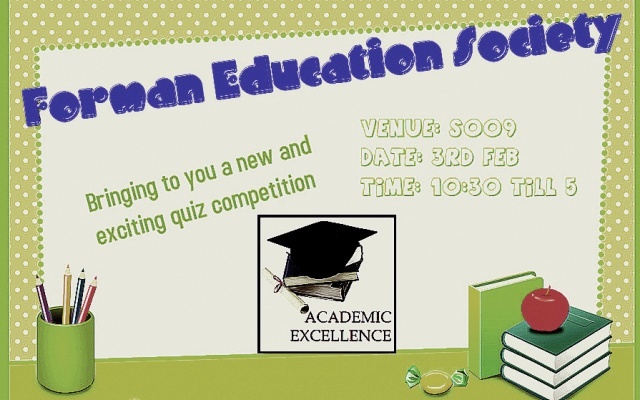 The Formanites Education Society is organizing a quiz on 3 February 2014 from 10:30 am to 5:00 pm in S 009. 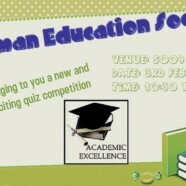 Participants will be asked several questions regarding general knowledge, Islamic Studies, politics/current affairs, geography, entertainment and sports. Several teams with 3 members each. Different rounds will be played e.g. Rapid Fire Round, Now you See Me (A visual Quiz), Audio Quiz etc. Faculty, staff and students are welcome to attend this event as an audience.